Home » Downsizing » A word about Christmas, Minimalism and Gifts. A word about Christmas, Minimalism and Gifts. The time is coming. It’s not even Thanksgiving and stores are full of trees and decorations for sale. We have not even had the opportunity to be thankful for what we have before getting ready to make a list of what we want. For many, the spiritual aspect of Christmas is all but gone. No, it isn’t Giftmas. What once was a sacred occasion is nothing more than a time for stores to make as much profit as possible. Now that I’ve ventured into the world of minimalism I’m getting to see a whole new side of Christmas that had really not been so much of an issue for me. But for many, it’s a big deal. And not just Christmas. It’s about birthdays, anniversaries and any other holiday, religious or not, where gifts are involved. As minimalists desperately try to purge unwanted possessions, many dread situations where they are in danger of receiving unwelcome clutter in the form of a gift. While I am no expert of etiquette and relatively new to minimalism I will offer my opinion, right or wrong, for you to consider and glean from it any portion you deem useful. What I have to say is not only for minimalists. The conversation that arises is how to let others know that you don’t want any gifts or at least none that you won’t appreciate. Why let others waste money, time and effort on something that you don’t want? This is not an unreasonable mentality but there is much to think about on both sides. For many, Christmas, birthdays and such are times for giving and many enjoy giving. And so picking out gifts for loved ones is a great pleasure. As the potential receiver you can’t take that away from them. It’s not your responsibility or place to tell others how to spend their money. At the same time, gifters have some opportunities here. Since the last time they went shopping they have had an entire year to learn about what loved ones value and what their lifestyle is. Hopefully, as a gifter you know enough about your loved ones to show that not only did you take the time to shop, but you also took the time to learn about that person. Shopping for a minimalist can be hard work and frustrating because they seem to want nothing. Often whatever you get them might be regifted, exchanged or returned. Worse yet, it might get tossed in the trash. That is why, having a whole year is plenty of time to figure out when a gift card is a much better gift than a cheese slicer. 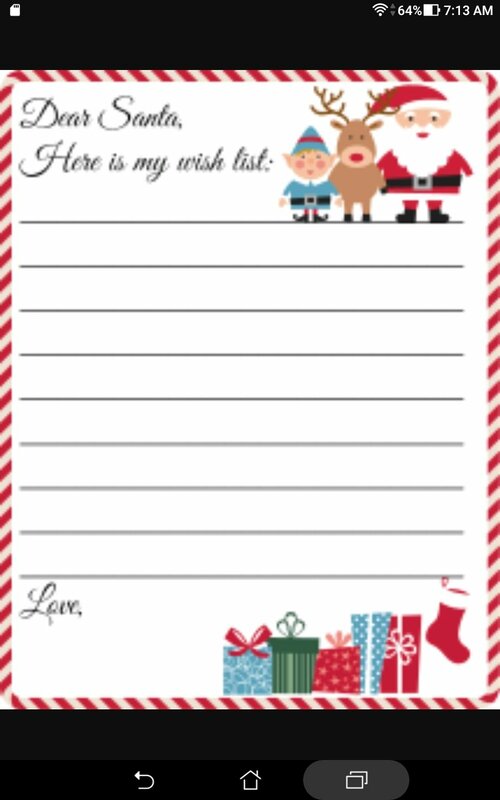 I am not a fan of Christmas lists. They are self indulgent and teach kids to think of themselves. It creates an air of expectation and entitlement. Parents have a whole year to learn what their kids like and don’t like. They shouldn’t need a list. As receivers of gifts, no one, minimalists included, should fear the undesired gift. It is not your responsibility to make sure that your loved one is spending his or her money wisely. If they have not learned enough about you to know the best gift for you, take whatever it is, be grateful you were thought of and say a sincere thank you. So what if you end up giving it away, it didn’t cost you anything. So what if you didn’t get what you wanted. Go out and buy it yourself. You are entitled to nothing. You didn’t earn it, it didn’t cost you anything. A gift is just that, a gift. The giver has no obligation to give it or to make sure it will be appreciated. Receive it in the spirit it was given and say that you. So stop worrying about getting the word out that you don’t want or need anything or that you have a list that others should adhere to. The world will not end because you got something you don’t want. Your life will not be ruined. This entry was posted in Downsizing, Holidays, Human Nature, Lifestyle, Minimalism, Random, Religion, Scaling down, Simplifying, Social Issues, Useful and tagged birthday, Christmas, Gifts, holidays, Minimalism, Minimalist, shopping. Bookmark the permalink.